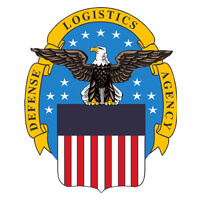 TekSynap was been awarded a 5 year contract to support DLA Information Operations at New Cumberland, PA. TekSynap will provide wireless network support services in conjunction with Government personnel for on-site hardware and software at 29 Government sites. TekSynap team will ensure that all current wireless handheld terminals, vehicle mounted terminals and functions related to the Distribution Standard System (DSS) for the entire Radio Frequency (RF) system are functioning at all times to support mission requirements. RF system infrastructure consists of wireless hardware such as access points, wireless controllers, encryption devices, management servers, handheld wireless terminals, vehicle mounted terminals, wired barcode scanners and other related hardware components. The contract will provide support for both DLA’s existing wireless infrastructure at the 29 sites and the planned upgrade to the wireless environments. We are supported by General Dynamics Information Technology.